David B. Chidlaw is a partner in the firm's San Diego office where he specializes in labor and employment matters on behalf of management, employers and high net worth individuals. David has broad experience counseling and defending employers on a wide variety of employment issues, including immigration. He has substantial experience representing employers in representative and class actions under Federal and California wage and hour law, including prevailing wage matters. He has defended employers in wrongful termination and employment discrimination litigation, including sexual harassment, race, age, national origin, gender, and disability discrimination. He also represents employers in unfair competition and trade secret litigation. 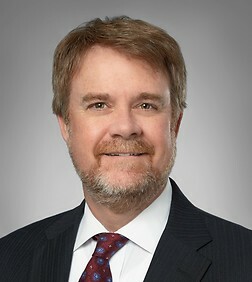 David has substantial administrative litigation and counseling experience before State and Federal Agencies, including the NLRB, Cal/OSHA, the Division of Labor Standards Enforcement (the Labor Commissioner), the California Apprenticeship Council and Division of Apprenticeship Standards, the U.S. Department of Labor, BCIS, the California Department of Fair Employment & Housing, the OFCCP, and the EEOC. David has advised both organized and merit shop employers for the length of his career. He has advised and represented employers in collective bargaining negotiations, organizing drives, decertification efforts and grievance arbitration matters. He regularly defends employers before the NLRB. He also provides guidance and training on union avoidance. David provides daily advice to management clients on a wide variety of labor issues including wage and hour, reductions in force, personnel policies and employee handbooks, affirmative action compliance, employment-based immigration, protection of proprietary information, and discipline and termination matters.